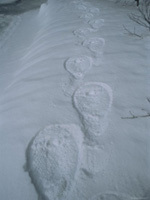 Guided Snowshoe Tours in Taos Ski Valley! 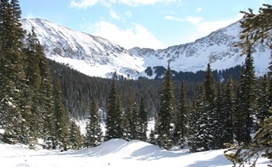 This amazing winter adventure is an incredible opportunity to visit Williams Lake, a true alpine lake in the heart of New Mexico's Wheeler Peak Wilderness Area. On the trail, learn about local ecology, natural history, and wilderness skills with our experienced naturalist snowshoe guides! After a brief orientation and gear check, we depart from world famous Taos Ski Valley, and venture into the Wheeler Peak Wilderness Area. We'll snowshoe through lush Rocky Mountain forests of spruce and fir, with great views of Taos Ski Valley and the Sangre de Cristos. After an easy paced, interpretive snowshoe hike, we'll arrive at Williams Lake (11,100'), just below Wheeler Peak, the tallest peak in New Mexico.